Two new studies show how health plans are jacking up patients' out-of-pocket costs for prescription drugs. The studies highlight some of the concerns raised during Tuesday's Senate Finance Committee hearing featuring the CEOs of seven major pharmaceutical manufacturers. Senators of both parties tore into the executives over their pricing practices, arguing that they have made drugs unaffordable for many Americans. But the CEOs blamed insurers and pharmacy benefit managers for some of the problems. A new analysis by the Robert Wood Johnson Foundation found that enrollees in individual-market health plans in 2019 generally face stiffer cost-sharing requirements for prescription drug coverage than members of small- and large-group employer plans. The plans particularly diverge in their coverage of brand-name and preferred specialty drugs, with less difference on generic products. Meanwhile, a new study by Avalere found that decisions by Medicare Part D drug benefit plans to shift generic drugs to non-generic tiers cost beneficiaries $15.7 billion in higher out-of-pocket payments from 2016 through 2019. 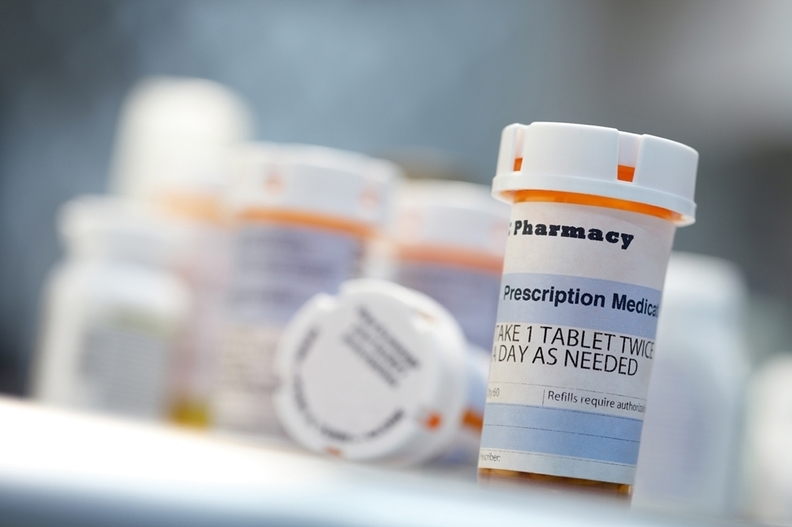 Last month, the CMS announced it was considering changing the Part D tier formulary guidelines to prohibit or limit plans' ability to put generic drugs on non-generic tiers to encourage greater use of generics and reduce patient out-of-pocket spending. According to the Robert Wood Johnson study, nearly 80% of individual-market silver plans offer no coverage for specialty drugs until after enrollees hit their deductible, and then charge either a copayment or a median coinsurance rate of 40% based on the list price of the drug. That may pose affordability issues when the average monthly cost of a specialty drug can exceed $5,000. In contrast, just 48% of small-group silver plans had that design for specialty drugs, with a median copay of $35 or a median coinsurance rate of 30%. Only 20% of individual plans provide specialty drug coverage before the deductible is met, charging a median copayment of $550 or a median coinsurance rate of 50%. More small-group plans—52%—pay for specialty drugs before the deductible, with a median copay of $250 or a median coinsurance rate of 35%. Individual and small-group plans were more likely than large-group plans to have four or more coverage tiers for drugs, with more tiers generally translating to higher costs for patients. To compare, 93% of individual plans, 86% of small-group plans and 51% of large-group plans had four or more tiers. Even for generic drugs, 25% of individual-market and 36% of small-group plans offered no coverage before the deductible was met, and required enrollees to shoulder a median $10 copay or a median 20% coinsurance payment after the deductible. "It's pretty rugged, having to use up the deductible before you get any coverage, and then paying 20% coinsurance," said Katherine Hempstead, a health insurance analyst at the Robert Wood Johnson Foundation who conducted the study. The Avalere study found that Medicare Part D plans took advantage of a 2017 change in CMS formulary guidelines to shift generic drugs to higher, non-generic coverage tiers, leading to greater patient cost-sharing. Patients pay an average coinsurance rate of 39% for generics moved to the non-preferred tier. There is no out-of-pocket cap on drug spending for Medicare beneficiaries. Avalere projected that if the CMS reversed its 2017 guidelines and required that generic drugs be covered only on generic tiers, patients who take generic products would save $4.1 billion in 2019. But that would lead to higher plan premiums, because plans would face a 4.5% increase in drug spending, Avalere said. In the commercial insurance market, Hempstead noted that some plans have features intended to mitigate the cost-sharing impact on enrollees. They may offer health savings accounts to help people pay for drugs, or set a maximum dollar value in connection with the coinsurance charge. The study cautioned employers that moving their workers to individual-market plans under the Trump administration's recent health reimbursement account rule could lead to skimpier drug coverage. States are offering various proposals to shield health plan enrollees from excessive out-of-pocket costs for prescription drugs, including limiting the number of formulary tiers and setting patient spending caps. At the same time, however, health plans are moving to neutralize drugmakers' use of co-pay coupons, which reduce patients' out-of-pocket costs. Correction: An earlier version of this story did not include figures for both plans using coinsurance and those using copayments from the Robert Wood Johnson study findings. This error has been corrected.